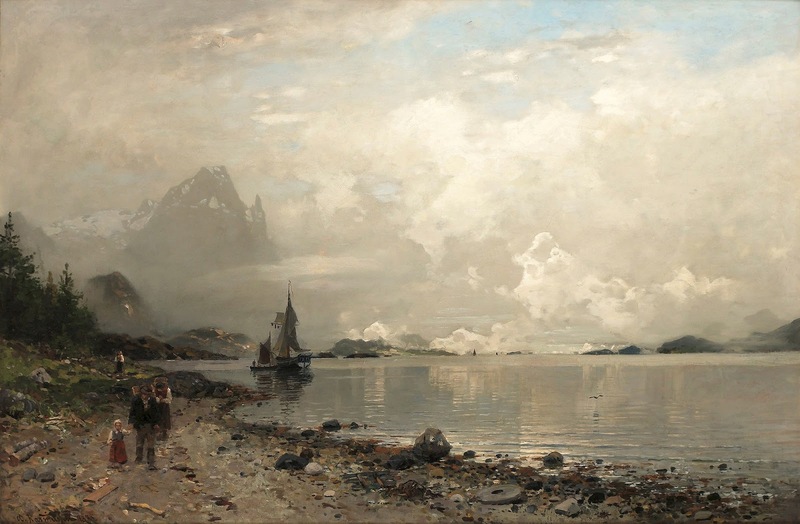 Georg Anton Rasmussen (1842-1914) was Norwegian artist, known for land-and seascape paintings. 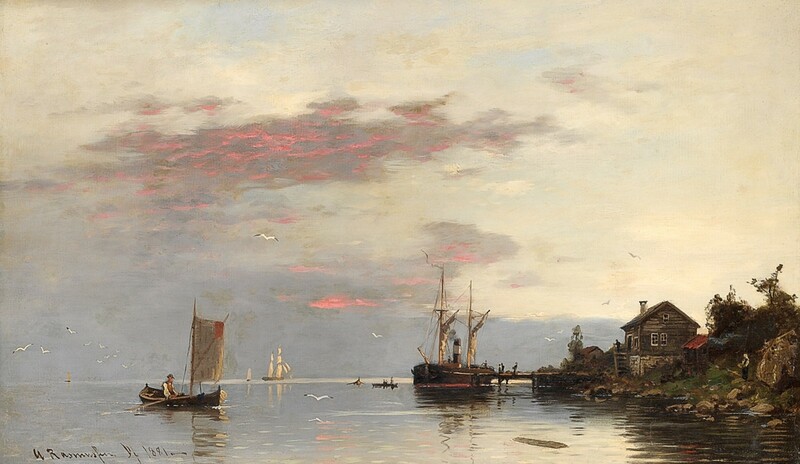 Georg Anton Rasmussen was born in Stavanger in 1842, but studied with the German painter Oswald Achenbach (1827-1905)** in Düsseldorf. 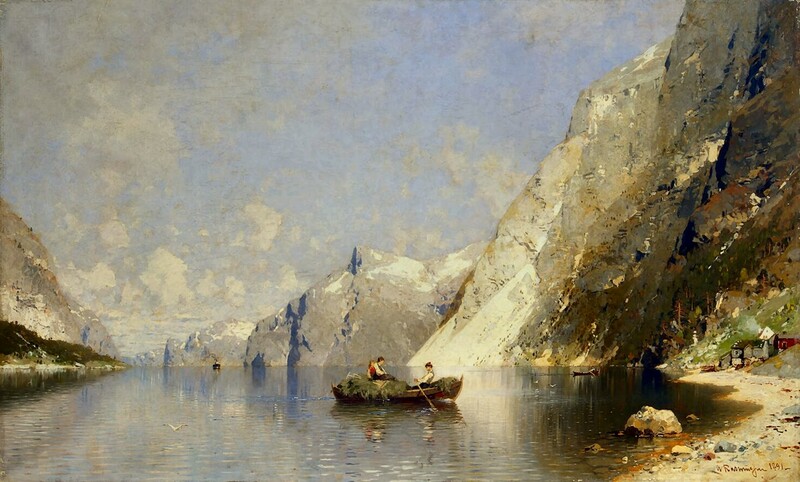 Consequently, several of G.A. 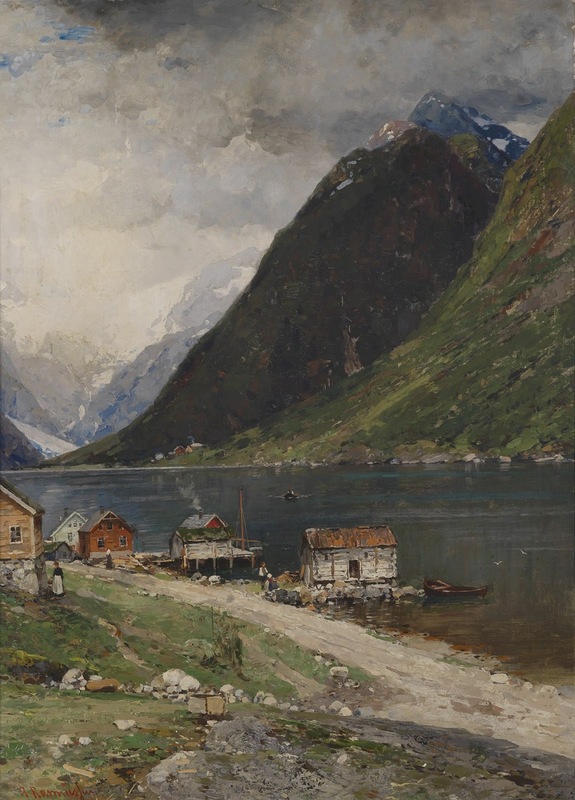 Rasmussen’s German subjects originate in the Düsseldorf area, but there are also themes from Berlin to where he moved in 1899. 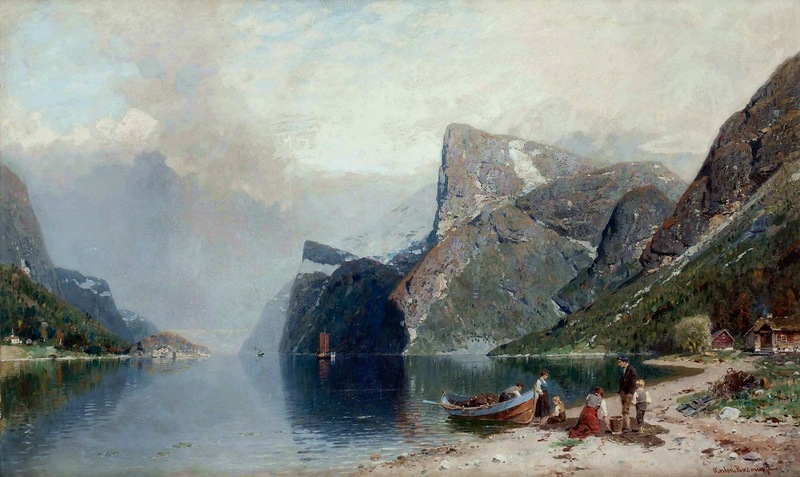 His landscapes were extremely popular, as G.A. 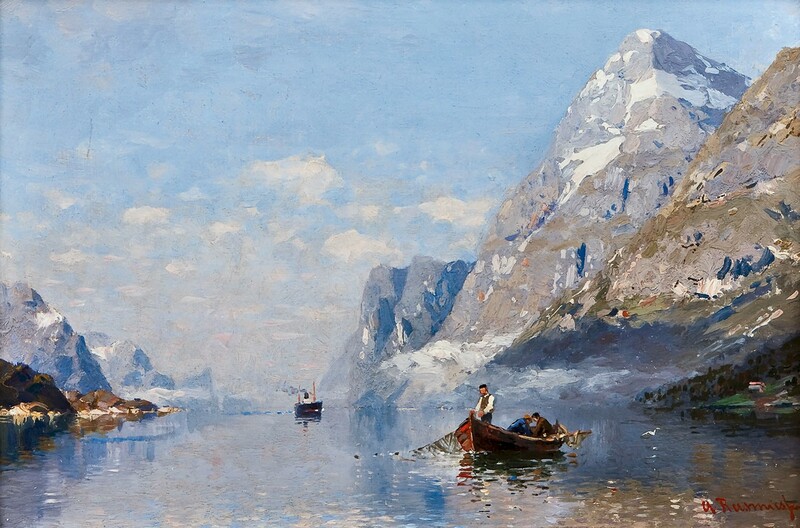 Rasmussen’s eye for colour was more powerful and personal than was normally the case in the Germany of the age. 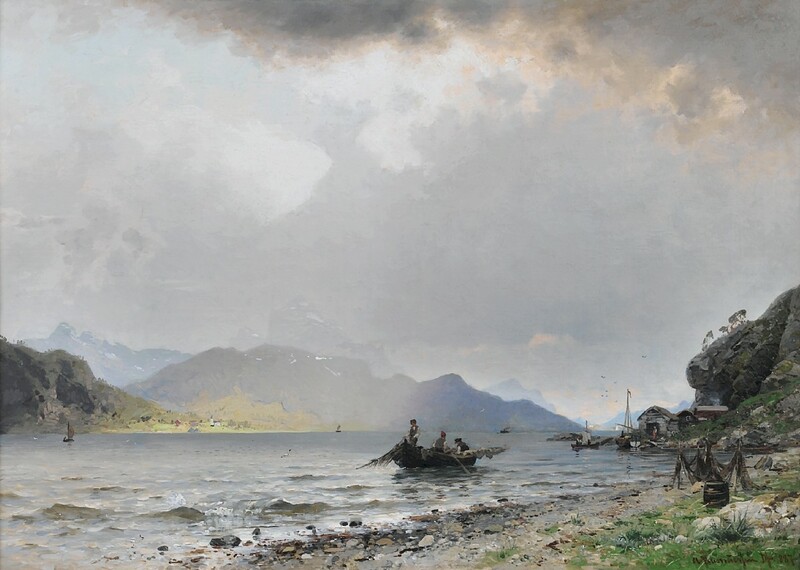 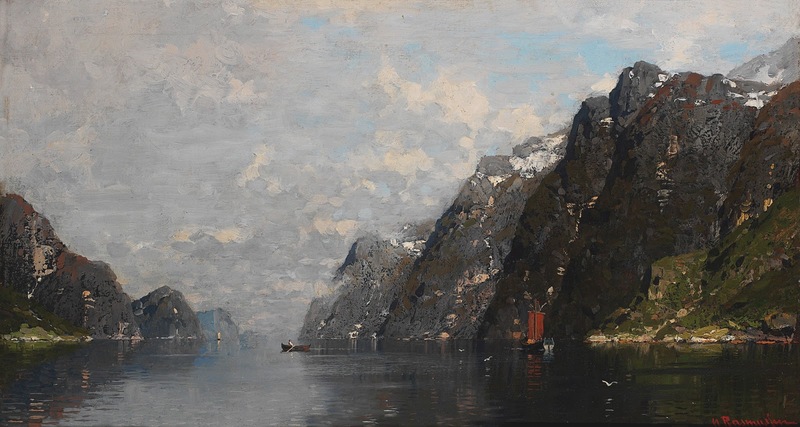 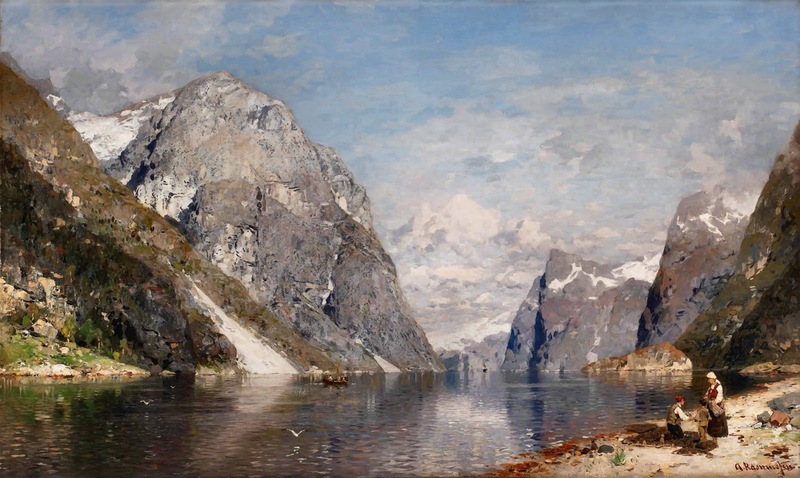 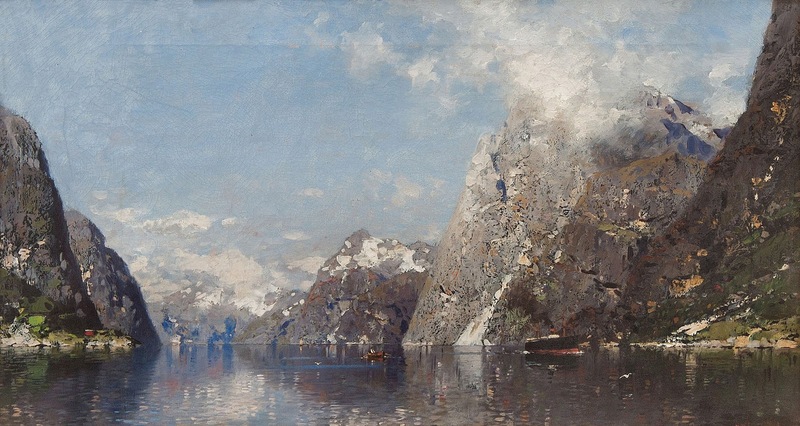 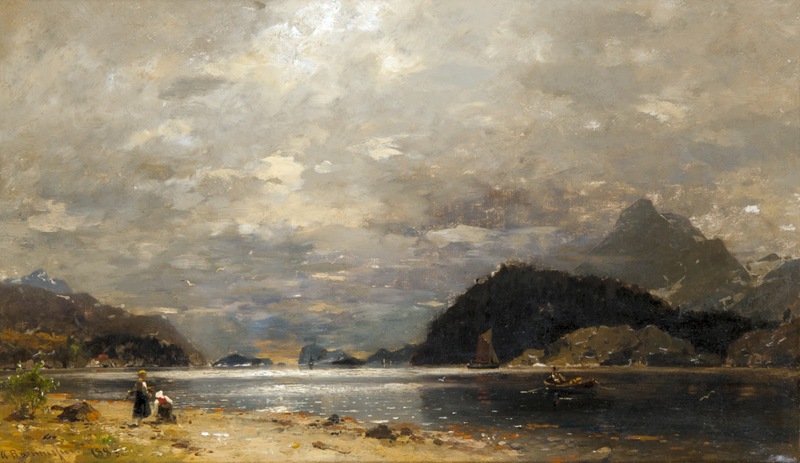 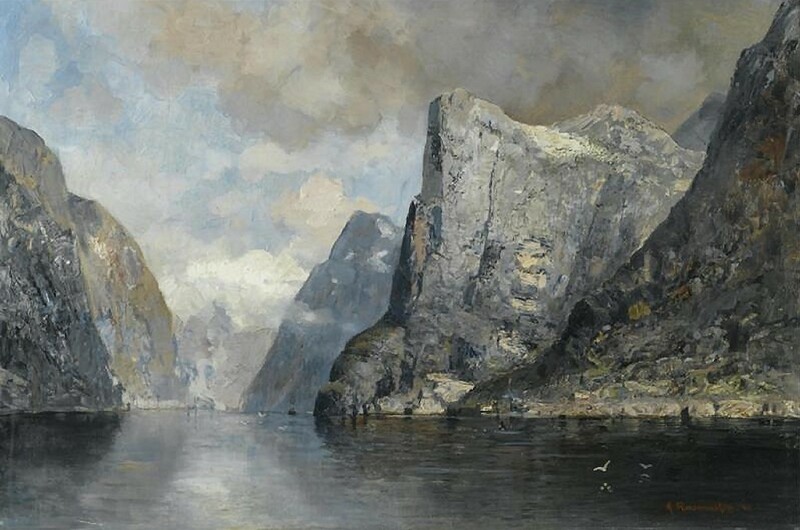 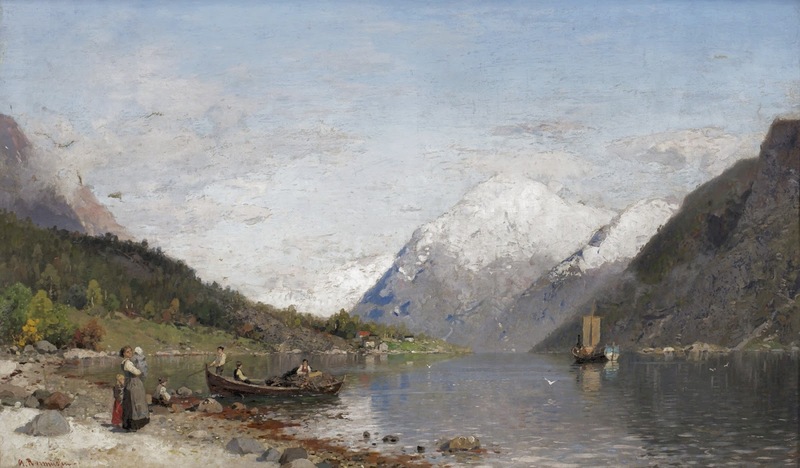 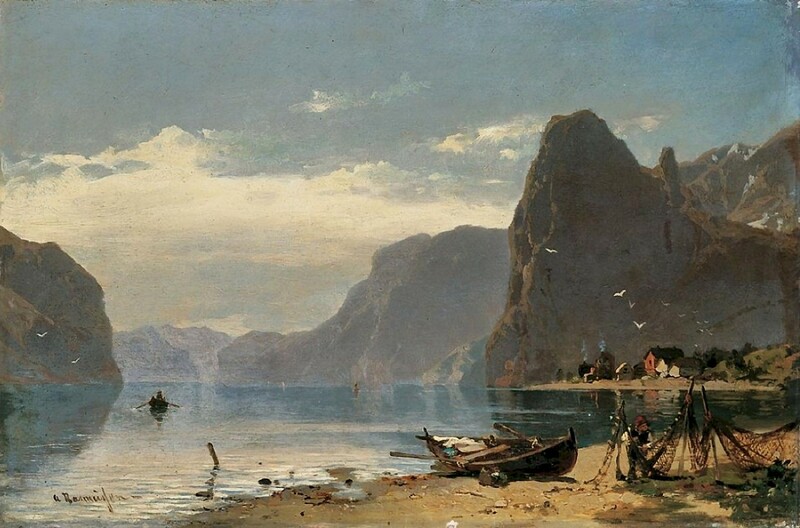 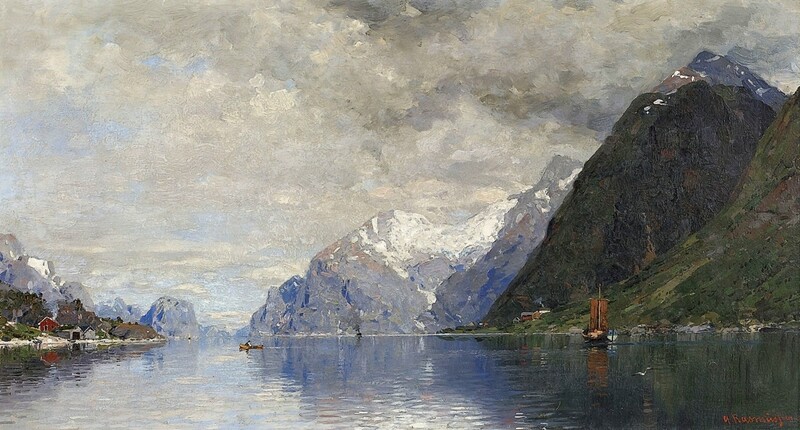 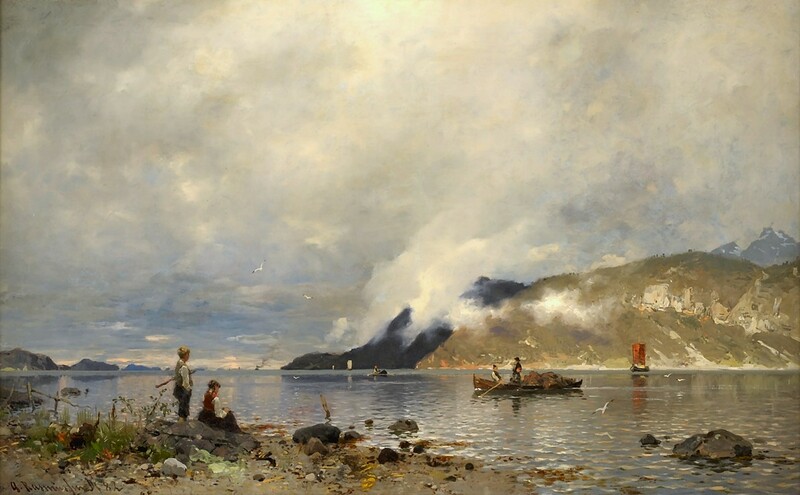 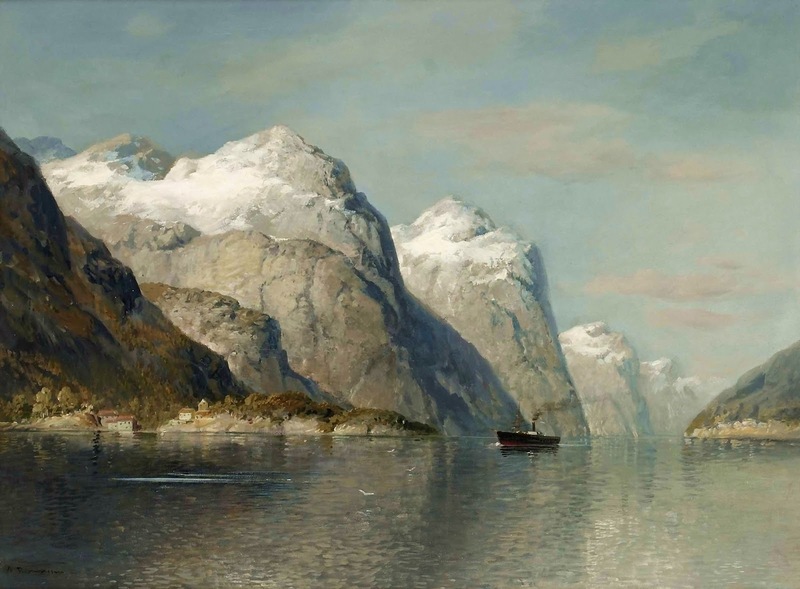 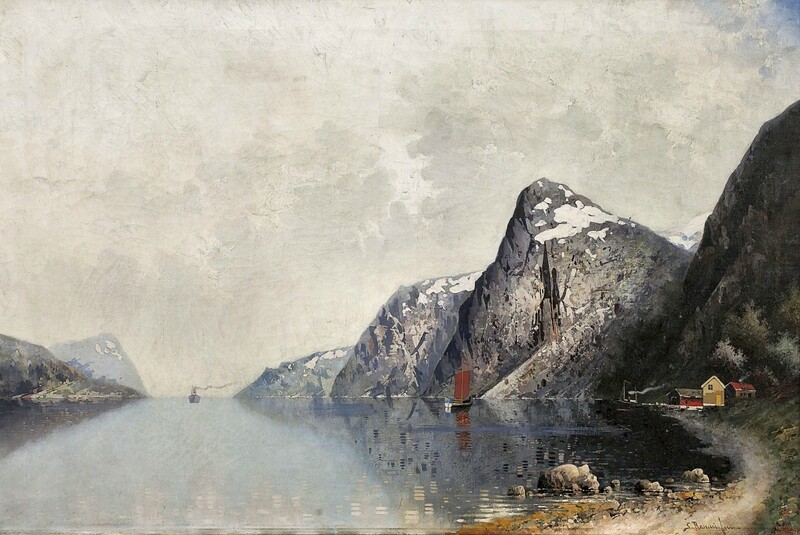 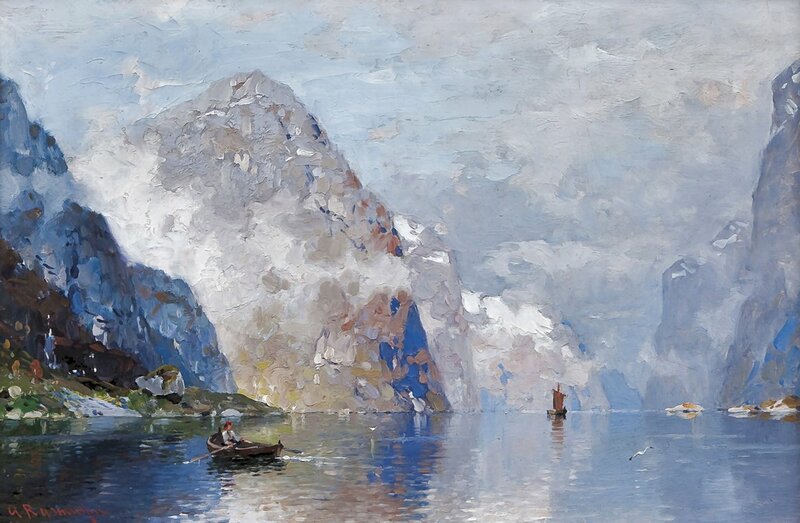 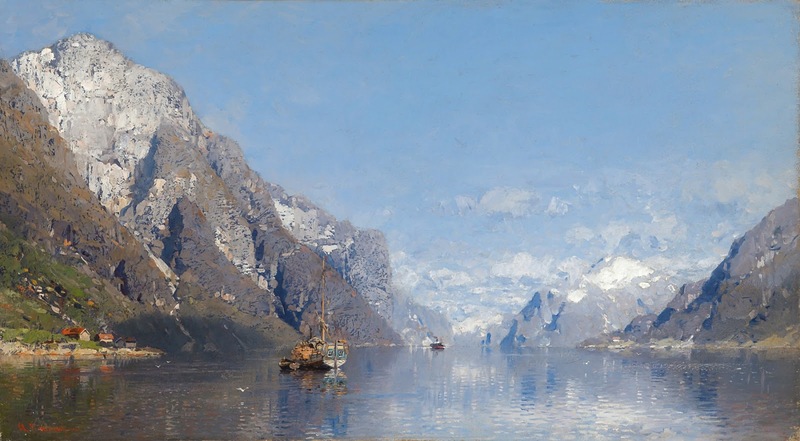 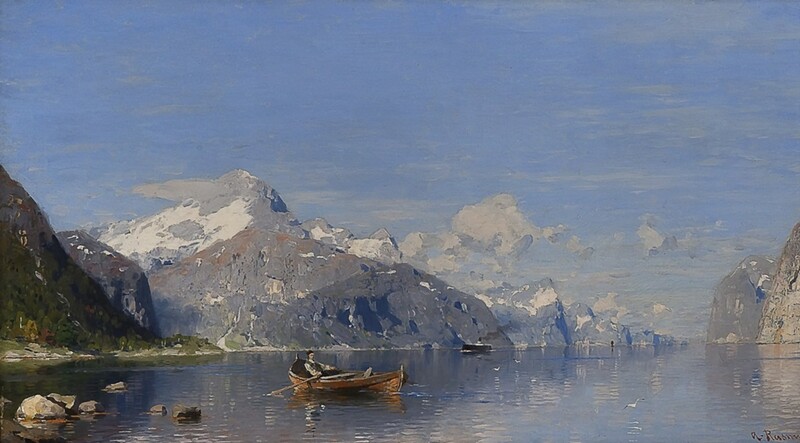 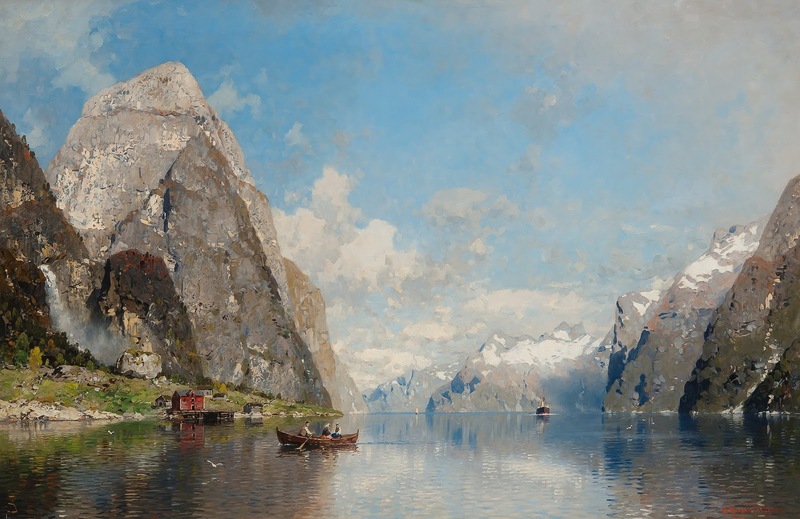 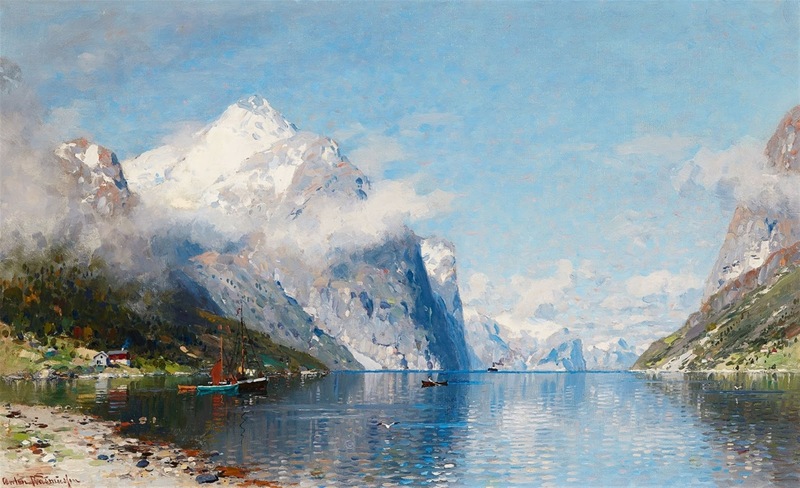 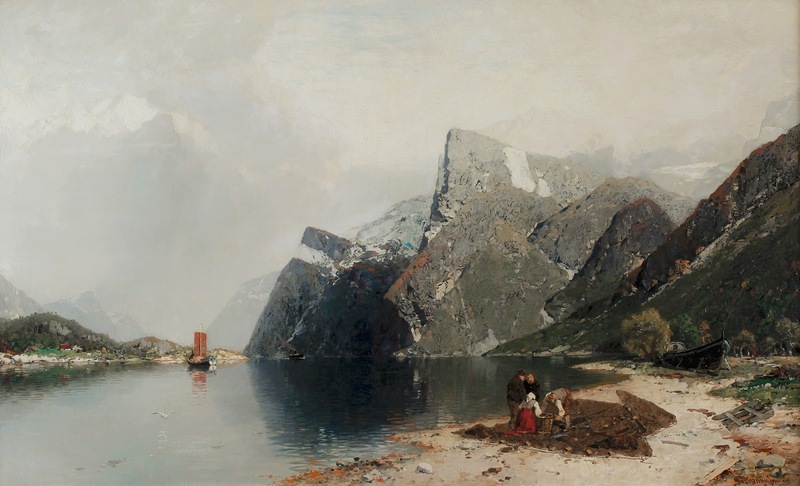 From here also came the demand for the scenes of the Norwegian countryside and the Fiord landscapes of which he was gradually to become a master, and for which he is still well-known today. 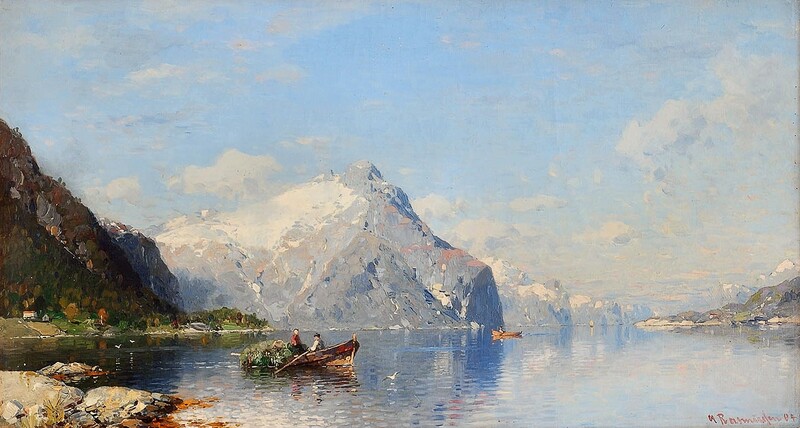 Despite the fact that G.A. 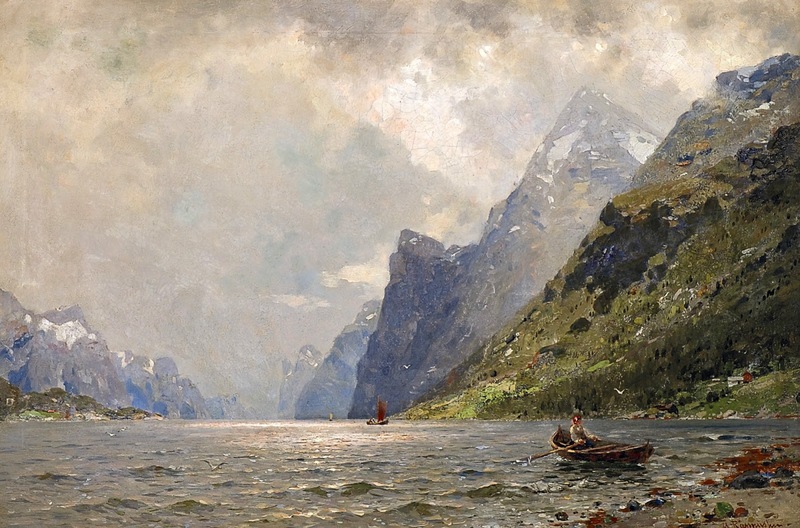 Rasmussen was to become a figure in Norwegian-German culture, he never forgot his roots. 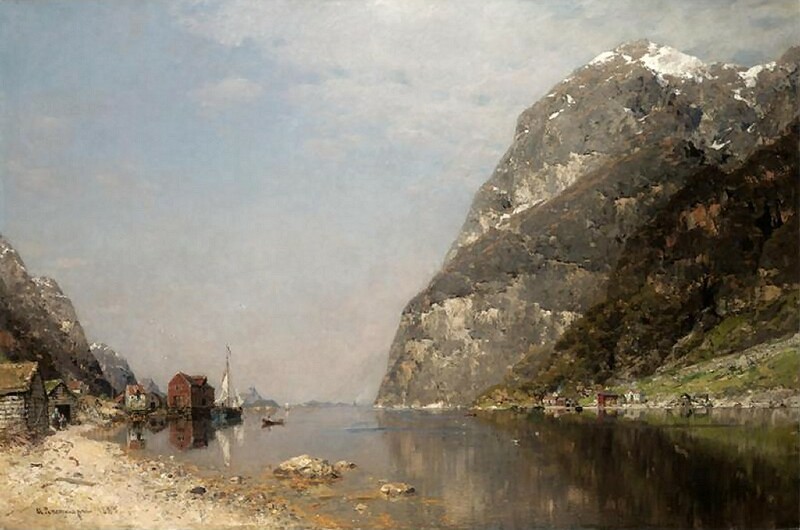 He painted many Norwegian subjects from memory, but many were also painted during holidays in his country of birth. 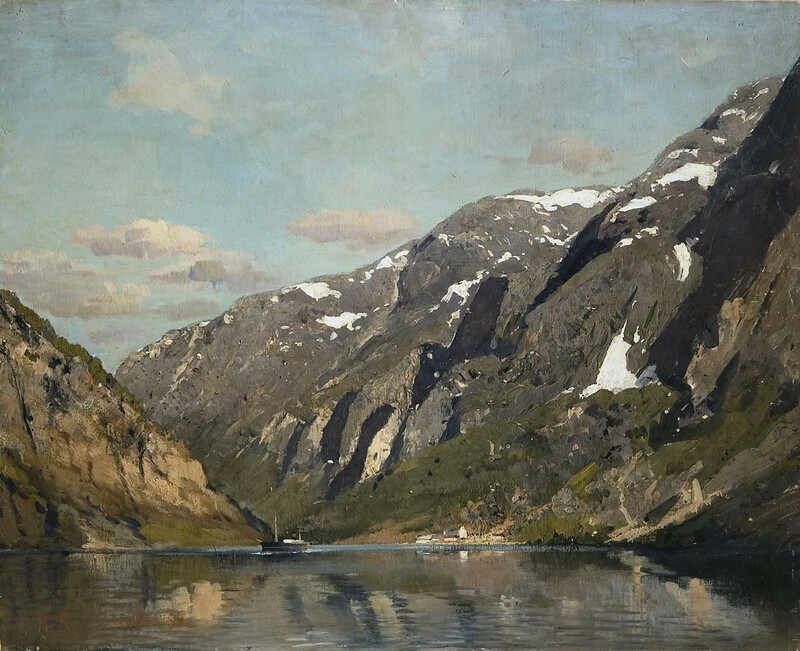 He was one of the several well-known artists to stay at the Hotel Stalheim, north of Oslo. 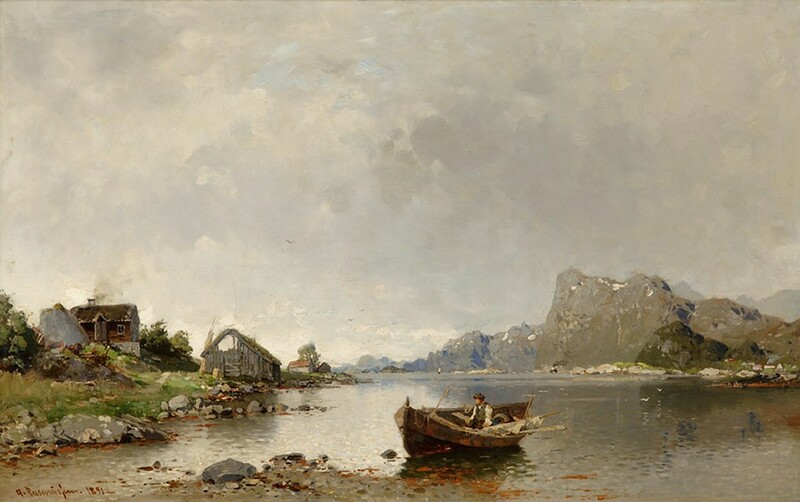 Here, G.A. 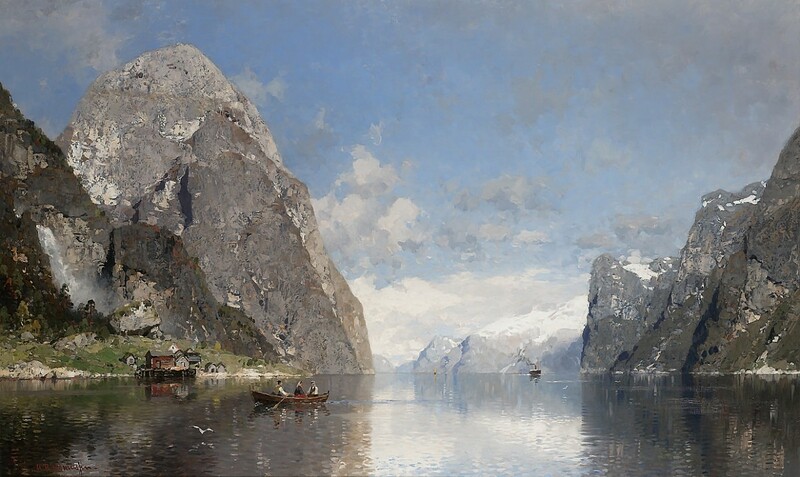 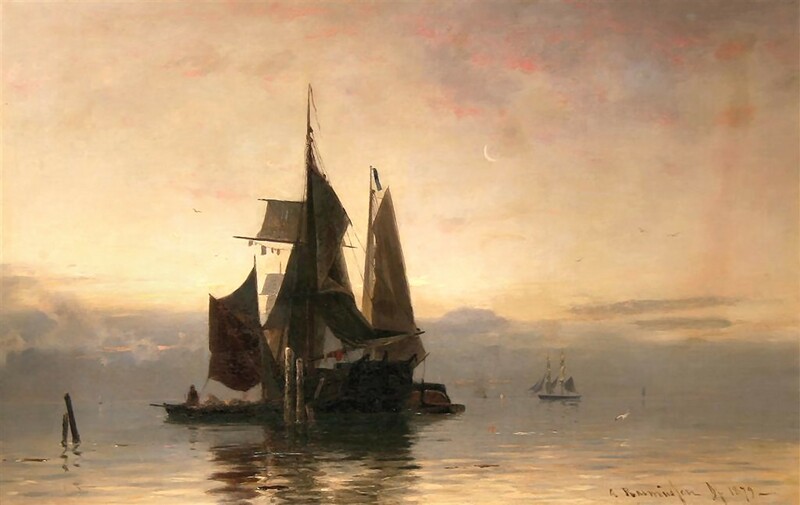 Rasmussen was able to take advantage of the tourism of the age and the guests taking the waters, since he painted local subjects which were immediately saleable to the visitors of the hotel.